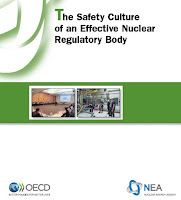 A recent Nuclear Energy Agency (NEA) publication* describes desirable safety culture (SC) characteristics for a nuclear regulator. Its purpose is to provide a benchmark for both established and nascent regulatory bodies. The document’s goal is to describe a “healthy” SC. It starts with the SC definition in INSAG-4** then posits five principles for an effective nuclear regulator: Safety leadership is demonstrated at all levels; regulatory staff set the standard for safety; and the regulatory body facilitates co-operation and open communication, implements a holistic approach to safety, and encourages continuous improvement, learning and self-assessment. Much of this material in this publication will be familiar to Safetymatters readers*** but the discussion of a holistic approach to regulation is more extensive than we’ve seen elsewhere. For that reason alone, we think this document is worth your quick review. We have been promoting a systems view of the nuclear industry, from individual power plants to the overall socio-technical-legal-political construct, for years. 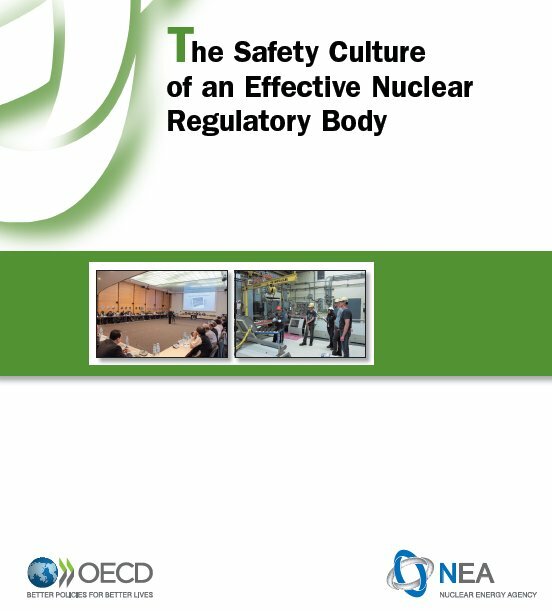 * Nuclear Energy Agency, “The Safety Culture of an Effective Nuclear Regulatory Body” (2016). Thanks to Madalina Tronea for publicizing this document. Dr. Tronea is the founder/moderator of the LinkedIn Nuclear Safety Culture discussion group. The NEA is an arm of the Organisation for Economic Co-operation and Development (OECD). ** International Nuclear Safety Advisory Group, “Safety Culture,” Safety Series No. 75-INSAG-4, (Vienna: IAEA, 1991), p. 4. **** “China has world's largest nuclear power capacity under construction,” China Daily (Dec. 30, 2015). "Lack of Safety Culture" is often used as a red herring to avoid having to admit that the event could have been averted by complying with existing regulations. One of the top attributes of a good safety culture is the widespread knowledge of and the transparently fastidious adherence to the rules of safety. Without the flowdown of safety requirements and the commitment to compliance with them safety culture is a cruel joke.